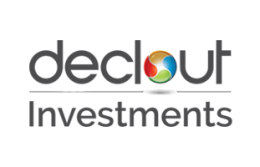 DeClout Investments, a wholly-owned subsidiary of DeClout, was incorporated in 2016 as a two-tier platform comprising incubation and fund-raising facilitation for startups and growth enterprise. The incubation tier focuses on leveraging the Group’s business network, domain expertise as well as industry knowledge and know-how to create a next-generation business accelerator which can value-add to the startups. The fund-raising facilitation tier works on initiatives with government bodies and like-minded partners to allow greater access to financing and investments for the enterprises. Through DeClout Investments, the group seeks to identify complementary opportunities that are synergistic to the Group, bolting on new competencies and leveraging on the market trends. Supported by the SPRING Singapore Startup SG Accelerator scheme, DeClout Investment has launched a new incubator arm to mentor early-stage startups and help them in product development, proof-of-concept, commercialisation and fundraising. DeClout was awarded with a S$10 million venture capital fund by the National Research Foundation (NRF) under the third installment of its Early Stage Venture Fund (ESVFIII) . DeClout is one of the four large local enterprises (LLEs) alongside CapitaLand Limited, Wilmar International Limited and YCH Group Pte Ltd to be selected by NRF. Under the ESVFIII scheme, NRF will commit S$10 million per fund, on a matching basis, to invest in promising technology start-ups based in Singapore. The ESVFIII enables start-ups to scale-up by leveraging on the LLE’s mentorship, resources and networks. In turn, it encourages LLEs to engage in corporate venturing as part of their overall corporate strategy and to improve their innovation capacity. 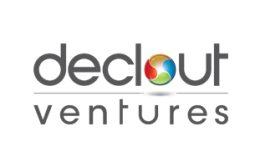 DeClout Ventures was set up as part of DeClout’s initiative to identify promising ventures under this fund, primarily focusing on disruptive start-ups in the digital and data sphere, including data analytics, smart logistics, fintech and cybersecurity. On September 30 2018, DeClout Ventures made its maiden investment in video analytics specialist firm Vi Dimensions Pte. Ltd. View PDF here.